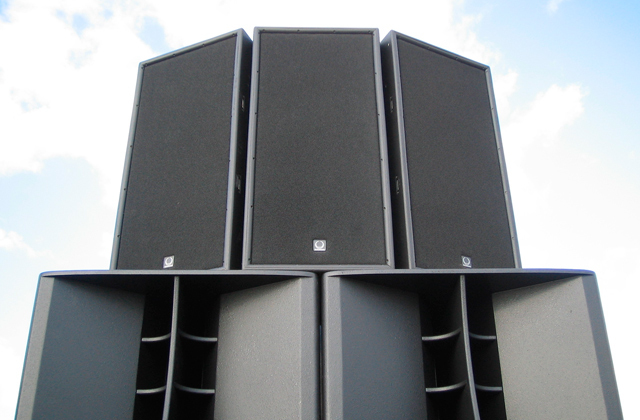 The multi-speaker sound system that produces a powerful sound and supports many playback modes and effects. The support of Google Play service enables you to use many applications and various online content. The use of PlayStation Now service requires a paid subscription. The Sony XBR55X850D is a high-performance model equipped with a panel that supports a unique TRILUMINOS technology, offering a wide color gamut and natural color tones reproduction. This device allows playing PlayStation 3 games without the console itself. This LED TV is equipped with a powerful Six-core processor and supports the highest mainstream resolution (Ultra HD). Also, the panel boasts an excellent refresh rate and offers the viewable angles up to 178°. There is no headphone out and channel switching buttons on the casing of this LED TV model. This TV model has excellent video processing and rendering capabilities and fits perfectly for watching the highly dynamic and action-packed movies even at 4K resolution. 60", 43", 49", 50", 55", 65", 70", 75", 80"
The menu of the operating system installed on this TV is intuitive and provides a superb multi-tasking. This LG LED TV is fully compatible with HDR video content owing to the support of HDR Pro proprietary technology. 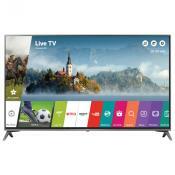 This LG model is a splendid LCD TV that offers a stunning picture quality and a high resolution, which is fully utilized owing to the 4K Upscaler feature even when watching an HD or SD video content. Offers the ease of installation, high image quality, DTS Premium Sound 5.1 support as well as recently used apps history saving in Smart TV for quick and easy apps access. The menu navigation has some lag between the button press and the action performance, which is not critical, though. 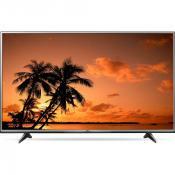 Excellent multi-function LED TV that offers good picture quality and large diagonal size considering its low price. 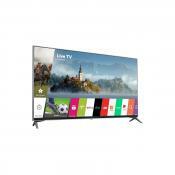 60", 40", 48", 50", 55", 65"
This LED TV model offers more than 3,000 online streaming channels, which feature over 350,000 video content items. The bundled Roku remote control is simple to use as it has only 20 buttons. No cabled Ethernet connection available, wireless only. 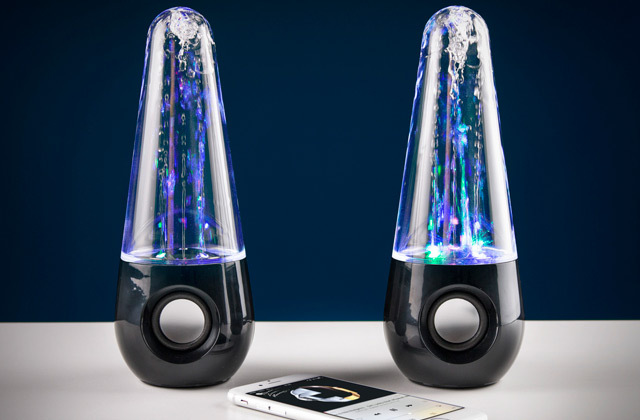 Despite the high quality of built-in speakers, their power is comparatively low. 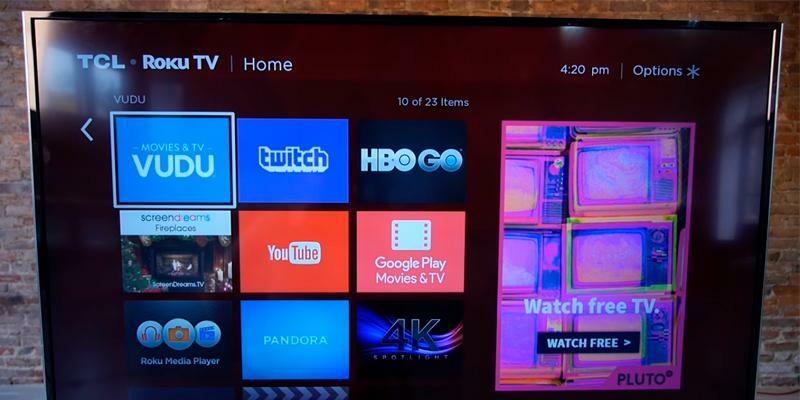 Roku OS-powered LED TV allows for control and content exchange with your mobile devices. The OS offers wide customization capabilities: putting your favorite channels and applications on the Home page. 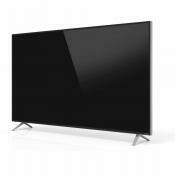 55", 50", 48", 40", 32", 28"
The Sony XBR55X850D comes with a huge 65-inch display, which enables its use as a home cinema device providing a comfortable watching of any movies and shows with your family or in a big company of friends. This big screen TV delivers an amazing visual experience regardless of the premises you install it in, be it a medium-sized sitting room or a large hall. 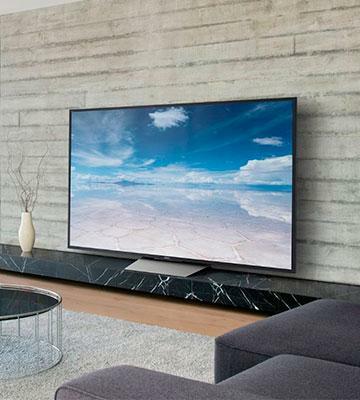 As all the modern models, the XBR65X850D LED TV has the highest widely adopted panel resolution on the market, which is 4K or an Ultra HD (3840 x 2160 pixels). 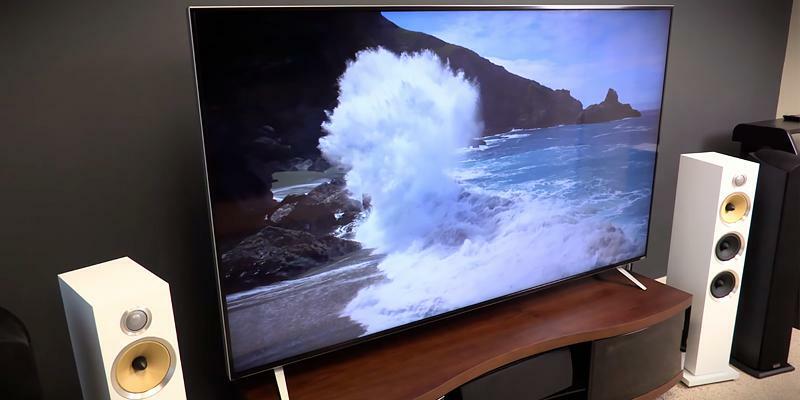 The 4K resolution support on this LED TV by Sony provides an excellent detail and picture clarity that will make watching videos a truly immersive experience. The native refresh rate of XBR65X850D’s panel is 120Hz, which (in combination with Motionflow XR technology) makes it possible to enjoy a smooth and stutter-free picture even in fast moving action sequences in movies and live broadcasts. This proprietary technology inserts additional frames generated based on picture parameters estimation between the original frames of a video sequence. The functionality of this flat screen TV makes it one of the best devices available. First of all, the Sony XBR65X850D has a Smart TV feature, which enables you to watch a large number of video content in online mode. The launching and stable running of applications, as well as the overall performance, is ensured by the 4K Processor X1 chip. One of the chip usage scenarios for this LED LCD TV implies a smart video analysis of video stream from a source (TV broadcasting, Blu-ray, and DVD disc content or even a 4K Internet video) and upscaling it to a near-4K resolution on the fly. Worth mentioning is the Android operating system used, which provides a possibility of using various applications from Google Play store, and an access to many movies, TV shows, and video games. The Internet content is fed to this big screen TV via the Ethernet and Wi-Fi connections. This model is also equipped with such input/output ports as USB, HDMI, Audio Output, Composite Video, etc. New Sony XBR65X850D is capable of delivering a high-quality and clear sound. An impressive sound performance is achieved thanks to 4 built-in speakers (7.5W each), which makes the 30W total power – one of the highest results among the TVs of this type. The sound performance of XBR65X850D is not just a raw power output but the proprietary technologies of sound processing: DSEE (Digital Sound Enhancement Engine), with which the lost frequency components (especially hi-frequency ones) are restored to achieve a more natural sound with a more surround sense to it; S-Force Front Surround that imitates a 3D sound stage in order to approach a surround sound system in terms of sound quality and to deliver a rich Hi-Fi sound in a larger area; ClearAudio+ makes it possible to listen to your favorite music, character dialogs and enjoy surround effects with more clarity and separation; Clear Phase, which allows achieving a smoother and more balanced frequency response along the whole spectrum. 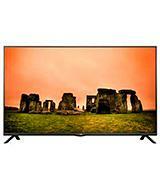 Sony XBR65X850D 65-Inch 4K Ultra HD Smart TV: 65 "
4K resolution make it excellent for regular tasks including video editing, internet usage, office applications, programming, etc. It is able to immediately rearrange the colors on skin tones in dark scenes so they dont appear washed out due to light bleeding! I"m assuming It is due to the Triluminos and Xreality Pro tech built into the TV. The built-in speakers are actually tolerable and most people won't see anything wrong with them. 4 HDMI ports. This is mind-blowing because my old plasma had 1 HDMI port... 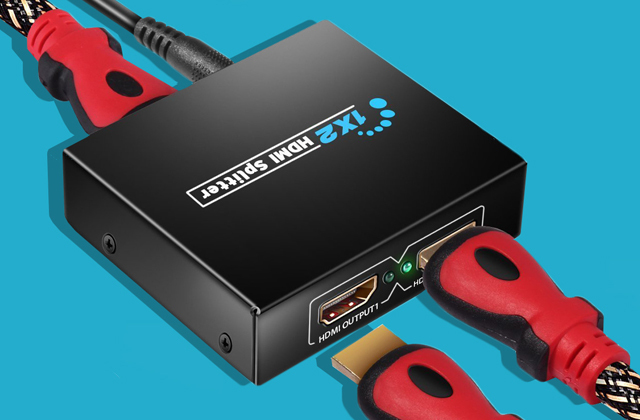 I've had to fuss around with HDMI switches for so many years...this is amazing. VIZIO M60-C1 TV displays a very high-quality picture. This flat screen TV has a screen size of 60 inches, which makes it suitable for quite large rooms and premises. The maximum resolution this LED TV supports equals the 4K or an Ultra HD (3840 x 2160 pixels) resolution that allows you to discern even the smallest details and objects on the screen. The refresh rate this big screen TV delivers is 240Hz. Thus, the TV preserves all the dynamics and dramatism of what is happening in the movie and enables you to watch the most action-packed scenes comfortably. 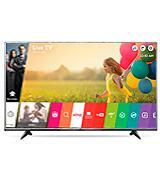 Among the numerous features this LED TV offers, the most prominent one is the Smart TV that makes it possible to browse various video content online, as well as to use the full-fledged Internet browser. Powerful modern 6-core processor, which is comprised of a quad-core GPU and a dual-core CPU, provides high-speed video processing and quick operation of the TV menu. This LED LCD TV model comes with five HDMI inputs for the connection of external devices, and one USB port for viewing different content from the external drives and removable media. It is possible to connect a large variety of external stereo and multi-channel sound systems to this big screen TV in order to increase the output sound power owing to the built-in DTS StudioSound™, DTS TruSurround and DTS TruVolume™ hardware sound decoders. As for the built-in acoustics, the two VIZIO M60-C1 LED TV speakers have an output power of 10W each, which ensures loud enough sound with a decent quality sufficient for those users not ready to overpay for getting the maximum sound experience. Really beautiful screen. Using it mostly for presentations - makes a good big screen monitor. Contrast is excellent on this tv and I see very little halo effects with bright areas near dark. The built in speakers are even ok.
Gaming on Xbox One looks fantastic. Make sure to use HDMI 5 for gaming. When considering the LG Electronics 55UH6150 model you can rank it together with more expensive, top-tier models by other manufacturers. When you focus on the picture quality this LCD TV offers we can state that this LG LED TV can effectively compete with or even surpass its higher-priced peers. The success of 55UH6150 model is achieved by the following parameters. First, owing to the modern IPS panel used, which utilizes the in-panel switching technology and provides rich, vibrant colors at a high contrast ratio and at very wide viewing angles. The second aspect is the resolution of this 55-inch LED TV, which is as high as 3840 x 2160 pixels and complies with the Ultra HD standard. It is worth noting that the maximum supported resolution of this LG flat screen TV is 4 times the resolution of competing products with Full HD screen. You will soon discover that watching any video content at such high resolution produces a highly immersive experience and enables you to become a part of what is happening on the screen. With that, you can see even the tiniest details. Moreover, this LG LED TV has a unique 4K Upscaler feature, which operation is based on a multistep automatic image analysis aimed at the subsequent sharpness and overall visual quality improvement for all the types of content, including HD and SD video content. Therefore with this big screen TV, you get a perfectly tuned picture, which is very close to 4K native video stream regardless of the original video resolution. An important complement to this auto adjustment and upscaling are the maximum refresh rate of 120Hz and the TruMotion technology, which permit you to watch your favorite sports events, play video games and watch high paced action movies without any visible image blurring, tearing or stuttering. Did you know that in the UK all the TV owners are imposed a special fee on? Speaking in detail every lucky owner of a TV set of any type regardless of the TV’s screen diagonal and manufacturer is obliged to pay a monthly fee of about 150 pounds. The main point is this fee is to maintain the operation of the famous BBC channel. Noteworthy the funds collected via this fee make it possible to avoid broadcasting any commercials on the channel. Though the owners of monochrome TVs can rejoice as the UK government officially declared them to be levied a much smaller tax. In addition, the officials saw fit to provide a generous 50% discount to the citizens with a visual impairment. LG Electronics SH5B 2.1 Channel 320W Sound Bar is an excellent soundbar, which will dramatically extend the sound possibilities of your TV. With a high 320W sound output power this product also offers the Bluetooth streaming feature and subwoofer wireless connection. 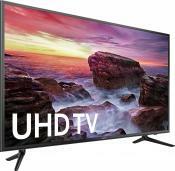 Sony XBR65X850D 65-Inch 4K Ultra HD Smart TV: 10.98 in. It has a good crisp picture. With a larger screen I want to see a three dimensional effect particularly in scenic shots and this set delivers. 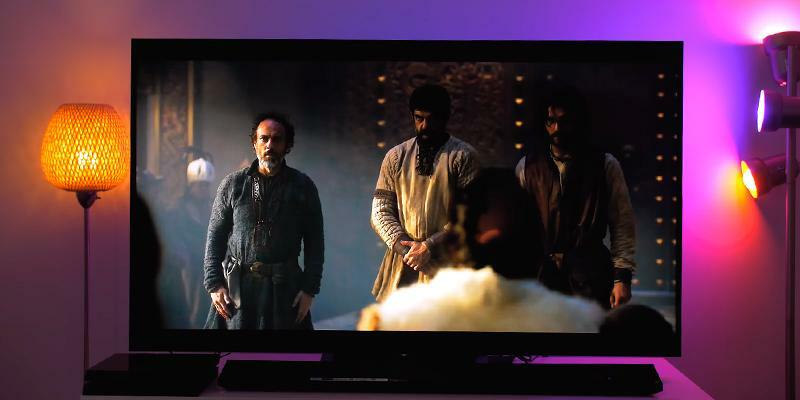 4K UHD content from Netflix and YouTube look amazing. It the bomb and the sound was way better than expected. 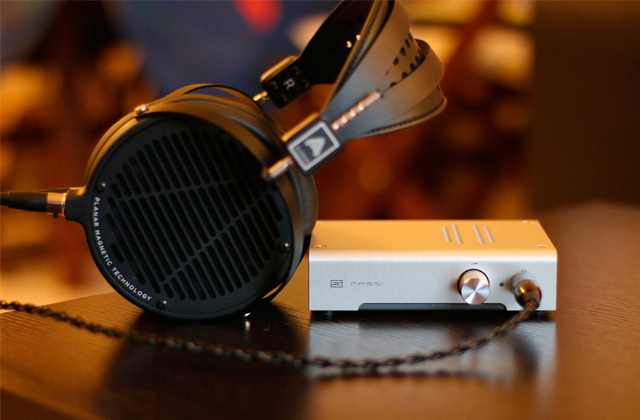 It is so much better than the competition within the price range. Having 3 HDMI's puts it ahead of many others. Samsung UN60J6200AFXZA has a screen size of 60 inches (measured diagonally), which is more than the diagonal of the most of Samsung plasma TV models, hence the recommended distance for optimal viewing experience with this 60-inch LED TV is 5 meters and more. 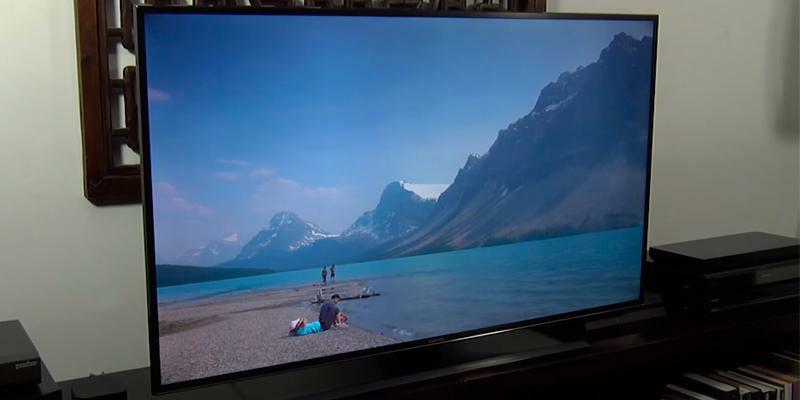 The picture resolution of this Samsung LCD TV is 1920 x 1080 pixels making it possible to watch the video in excellent quality while not worrying about any annoying pixelization. 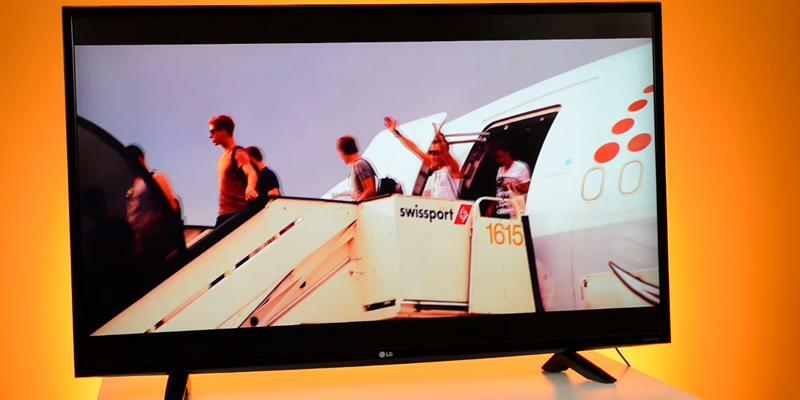 This LED TV is furnished with a Samsung in-house manufactured S-PVA panel, which provides a very high black level. When viewing fast moving scenes on this TV, you will not experience any trails and tears as this model has a refresh rate of 120Hz. This LED TV model has a support of Smart TV feature that allows you viewing movies and videos online using various Internet services. This big screen TV uses the latest Tizen operating system, which makes the full-fledged bundled Internet browser and social networks communication tools available for the user. 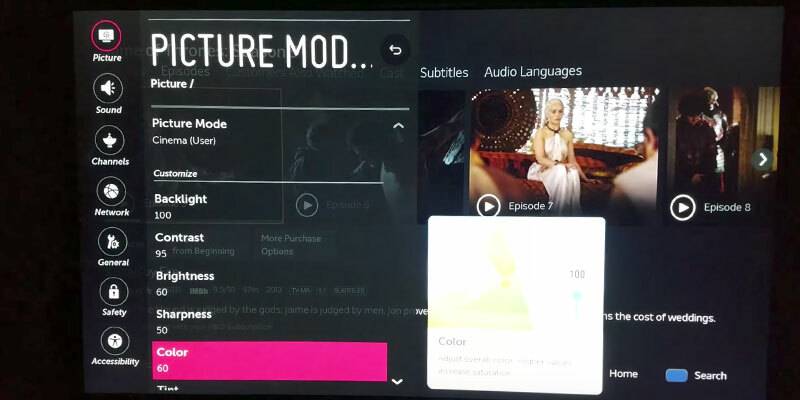 You can establish an Internet connection to this Samsung smart TV via a cable Ethernet connection or a Wi-Fi connection according to your choice. 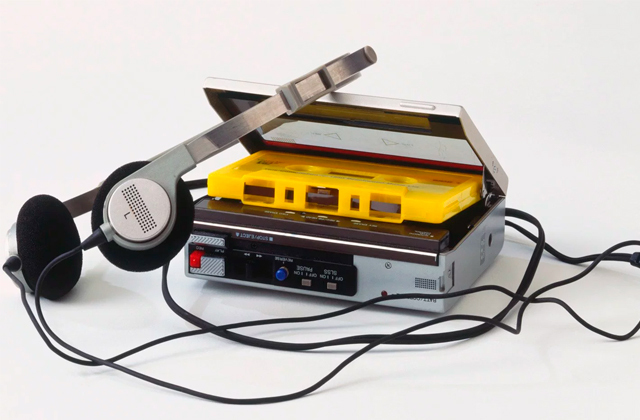 Together with viewing the media content from the Internet, you can watch the video and listen to the audio from a portable media connected via the USB port. 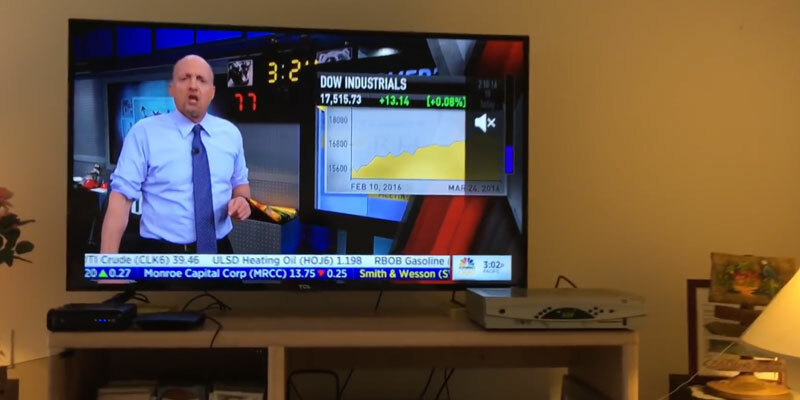 As all the modern LED LCD TVs this model also offers a connection of the TV to a notebook, tablet PC or any other video source through the HDMI digital connection. The quality sound reproduction by this LED TV model is maintained owing to its support of DTS Premium Sound 5.1™ system with DNSe+ feature, which offers you an experience of being a part of what is happening on the screen by immersing you in a surround sound environment with the 5.1-channel sound. The audio subsystem of this big screen TV by Samsung is capable of playing a high-definition audio content. With that using the advanced sound customization settings, you can maximally accentuate the low frequencies band or achieve a good sound clarity of the movie dialogues and a comfortable volume level. The power of the TV sound system is 20W (an average value you may often see in many LED TV reviews), which is achieved by the use of two 10W speakers. 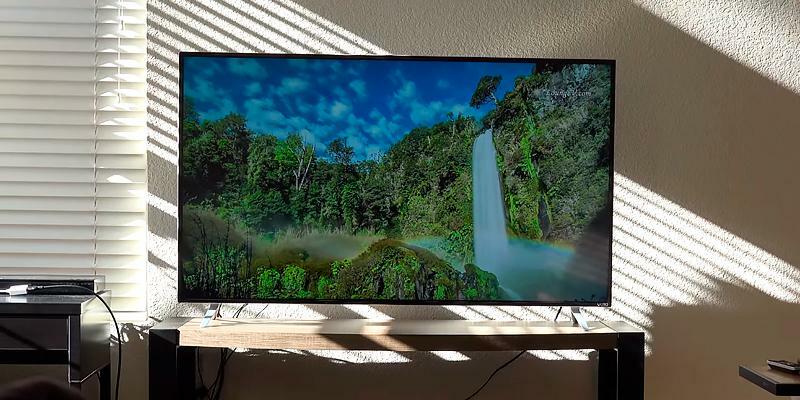 Samsung J6200 Series LED Smart TV Review- The Good & Bad! The screen is crisp and clear. It is a great purchase. Crystal clarity with beautiful dynamic colors. Easily carries Samsung's golden reputation for terrific televisions! Pick it up. Excellent Picture quality and strong sound with inbuilt speakers. Great quality and size. It's great watching videos from the USB slot on the back. 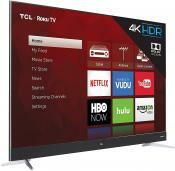 TCL LED TV has a big 55-inch screen. If for some reason this diagonal does not suit you, there are others available screen sizes: 50", 48", 40", 32" or 28". Talking about this particular model the TV resolution is 1920 x 1080 pixels, which makes the images highly detailed and utterly clear. The 55FS3750 LCD TV is built on an HVA panel, which offers wide viewing angles of 176° and an excellent dynamic contrast ratio of 5,000,000:1. Another aspect that contributes to the high quality of image and video rendering on this big screen TV is the native 60Hz refresh rate of the panel that can be increased to 120Hz owing to the proprietary Clear Motion Index technology, thus making even the most action-packed episodes look smooth and clear. 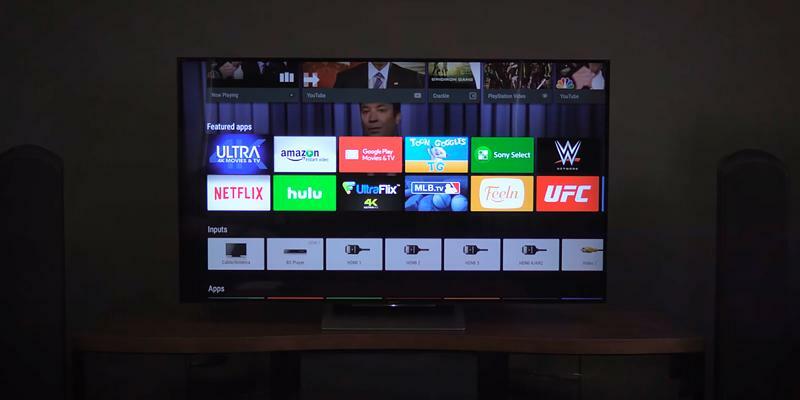 The modern features that the TCL 55FS3750 has to offer include Smart TV, which gives you access to a huge number of online services and applications, such as Netflix, Vudu, HBO, Hulu, ESPN, Amazon video, etc. This best buy flat screen TV has a Roku TV operating system that enriches a user experience with an intuitive and fast interface, and the capability of customizing your Home screen by putting your favorite satellite TV, streaming channels and applications front-and-center. 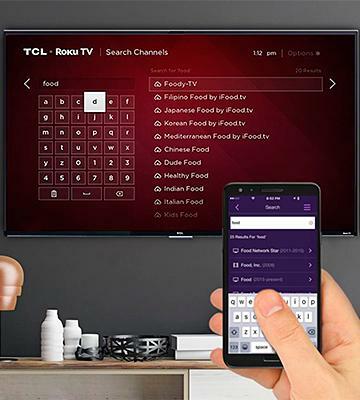 Smart TV support opens access to more than 3,000 channels, which you can control via your smartphone (mobile app is available) using voice search and remote control functions. This best flat screen TV has only a Wi-Fi connection to the Internet. 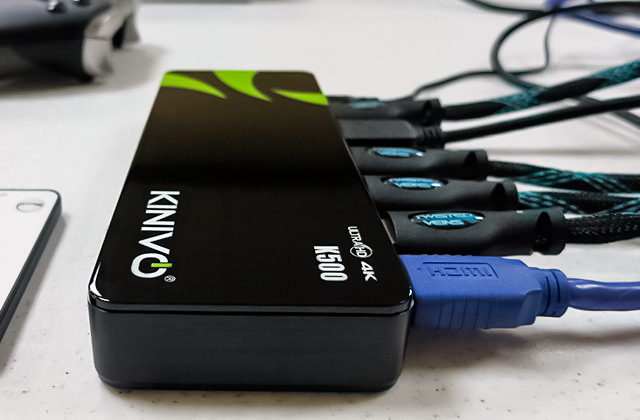 The connectivity includes one USB port, three HDMI ports, one Optical input, an RF Input with RF tuning capability, etc. Concerning the advantages of this model in our LED TV review, we should mention such important features as built-in digital and analog ATSC, NTSC, Clear QAM tuners. The built-in acoustic system of TCL Roku Smart LED TV offers a moderate sound experience. Despite its big size, the manufacturer decided to equip this LED TV with a pair of 8-Watt speakers. 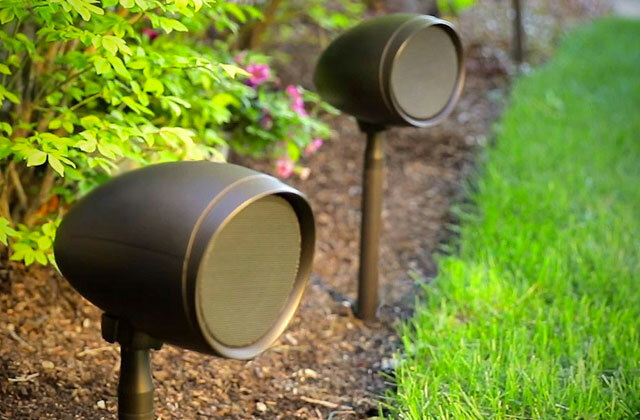 Though the total power of both speakers is below average (16 Watts), the produced sound is still informative and clear enough for keeping you comfortable when watching a soccer game or a movie without connecting external speakers. In case you decide to connect an external sound system to this big screen TV, you will be able to feed the system the signal processed with Dolby Digital Plus hardware decoder installed on the TV. Sony XBR65X850D 65-Inch 4K Ultra HD Smart TV: 52.69 lbs. The picture quality is outstanding and so is the allover performance. The picture quality is just fine, the large size is great for video games and movies alike, and the built in Roku software is dope. Speakers are good and loud, I usually keep it at a 20 as to not tick off the neighbors, but it can go much higher. It has 3 HDMI ports on the back. Easy to put settings on. Today, LCD TVs with LED backlight gained well-deserved popularity among buyers. These devices use the cutting-edge video technologies and have a great functionality compared with their predecessors, such as Internet connection feature and the capability to view the video content in on-line mode. 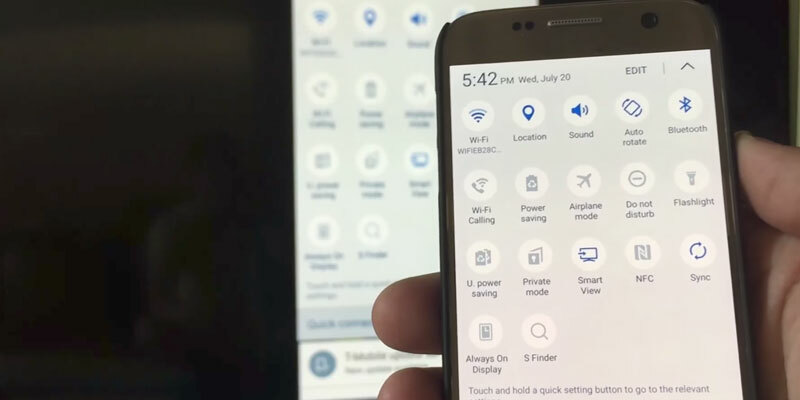 For using these features, you will need a cable Internet connection or a Wi-Fi Internet connection. With the first option widely available nowadays, for using a wireless connection you will need a Wi-Fi router. 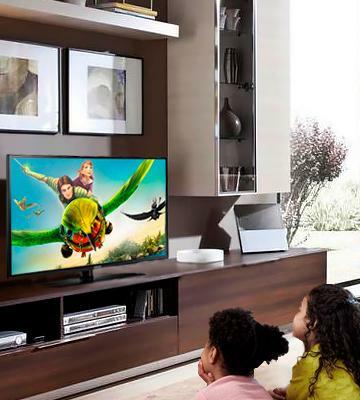 Modern LED TVs consume little power, thus saving your money. LED TVs also have a reduced thickness and weight design compared with the plasma TVs. 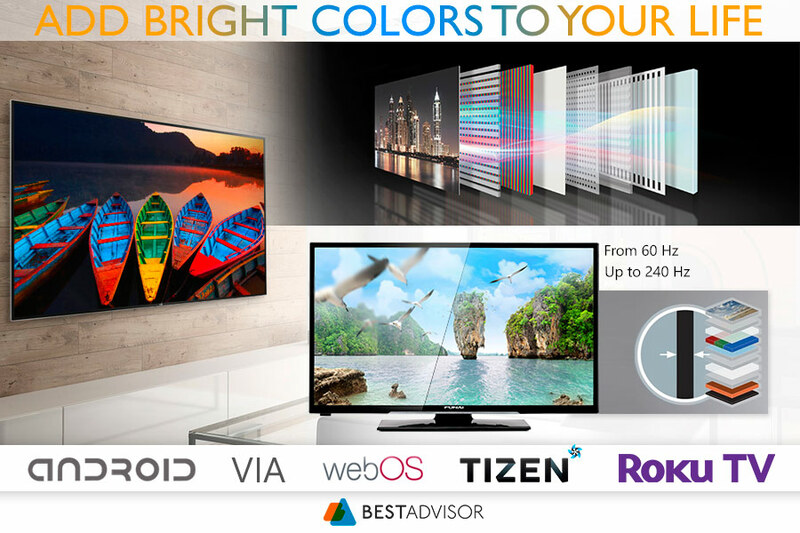 Still, the most important benefits of these TVs are the natural color reproduction and higher image rendering quality. LED backlight provides the high dynamic contrast ratio and allows the application of zone lighting of the screen. So what are the main points one should take note of when choosing among several models? 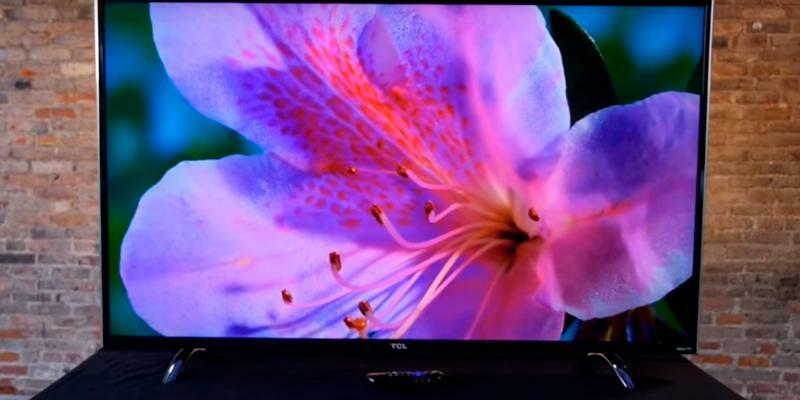 In today's review, we'll try to highlight the key LED TV features to consider when buying an LED TV. 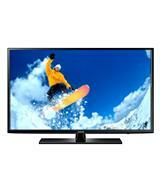 There are LED TV models with an advanced feature of displaying the 3D video content. If you are interested in these models, you can check our amazing 3D TVs & smart TVs and curved TVs reviews. 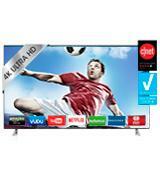 The most important criterion when choosing any LED TV is its Video picture parameters. In the first place, we need to determine the TV screen size (diagonal). One should choose the diagonal of an LED TV (available options range between 10" to 90") based on the size of the room, in which it will be located. Owing to the more up-to-date and advanced LED-backlighting technology the offered LED TV screen sizes today are bigger than those of plasma TVs. The next point calls for considering the type of the panel used. Currently, there are 3 main types of flat screen TV panels: IPS, S-PVA, UV²A. 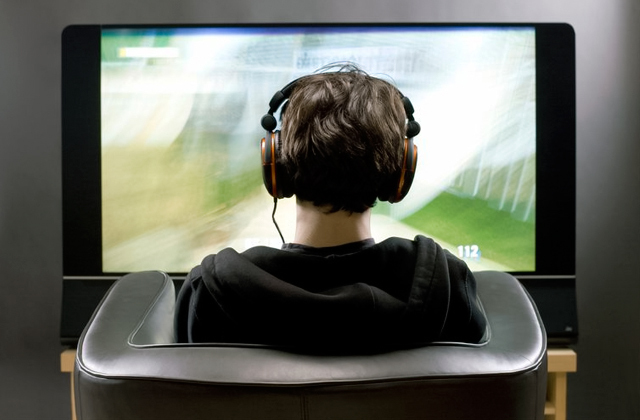 IPS panels offer the largest viewing angles. S-PVA panels provide a higher black level, and the UV²A panels combine the advantages of the two previous types, which makes them best suited for the high-end TVs. UV²A panels are manufactured by Sharp. Talking about the panel resolution, we should note that it is characterized by the number of panel active components, pixels (dots), horizontally and vertically. The higher the screen resolution, the more details and the better overall quality the picture will be rendered at when playing files from a variety of electronic media, as well as from the television signal source. The high panel resolution is especially beneficial for the digital TV signal such as the one provided by HDTV and UHDTV broadcast standards. 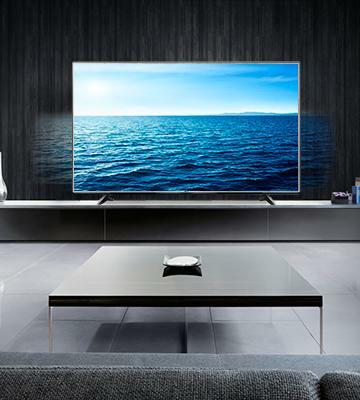 The last parameter, which directly affecting video picture parameters of an LED TV, is the panel refresh rate, which in turn is determined by the response time of each pixel. The higher the frame refresh rate, the faster the image is updated on the screen of an LED TV and the smoother and more natural the motion looks (IPS-panels have a relatively big response time). Despite the high specified refresh rate values by many manufacturers (up to 1200 Hz), the actual refresh rate ranges from 50 Hz to 120 Hz, while the higher numbers are obtained using specific measurement methods, various marketing "tricks" (refresh rate of some specific area of the screen, etc.) and proprietary technologies. It should be kept in mind that the human eye cannot tell the difference between the screen refresh rates of an LED TV starting from 100 Hz and higher. 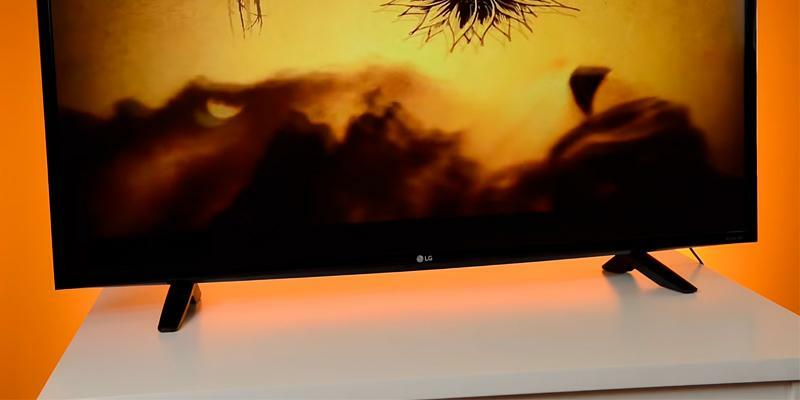 The next important feature to consider when choosing an LED TV is its Functionality. 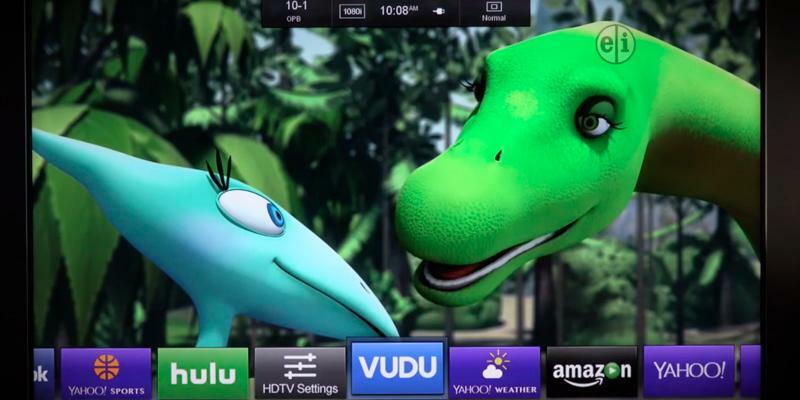 Smart TV feature, for example, makes it possible to connect our flat screen TV to the Internet and use a browser, interactive applications, online movie theaters and other integrated services. This requires the availability of an Internet connection. 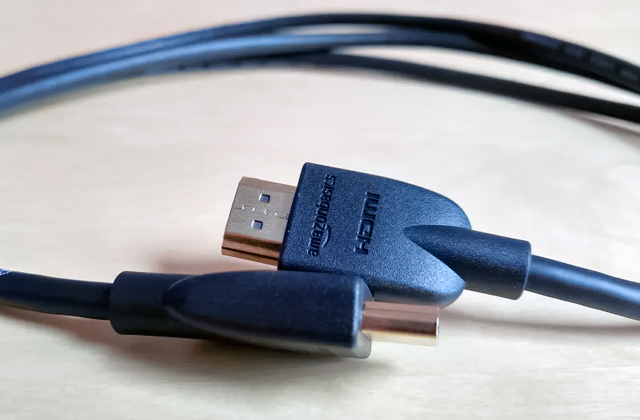 LED TVs may be equipped with a wired Ethernet connection and a wireless Wi-Fi connection. The best option is to have both these types simultaneously. A built-in processor (CPU) of a TV is utilized for loading the applications and surfing the Internet, thus, the more powerful this processor is the better the user experience is. Some TVs have multi-core CPUs with 4 or even 8 cores. There are also TVs that support the function of the 3D-image display. 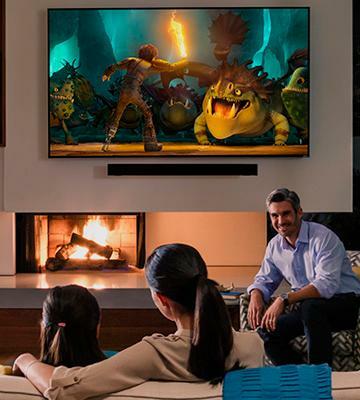 These LED-TVs support a particular 3D video format that can be transmitted using the three methods: side-by-side, over-under, or full side-by-side encoding. 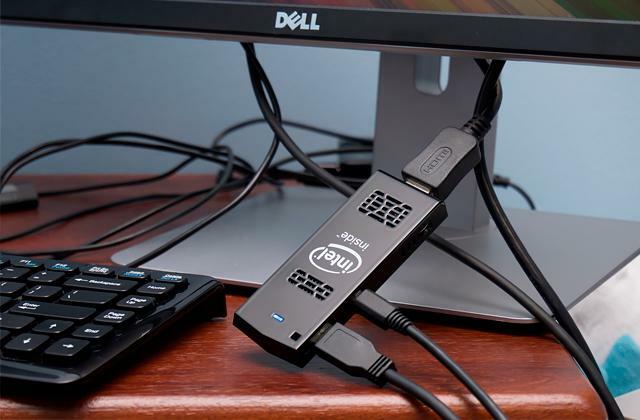 Functionality also determines the possibility of connecting various external devices (via the USB-ports, the SD-card ports, video and audio interfaces - HDMI, DVI, etc.) in addition to receiving the broadcast TV signal. The last important parameter, which should be pointed out, is the TV Sound quality. 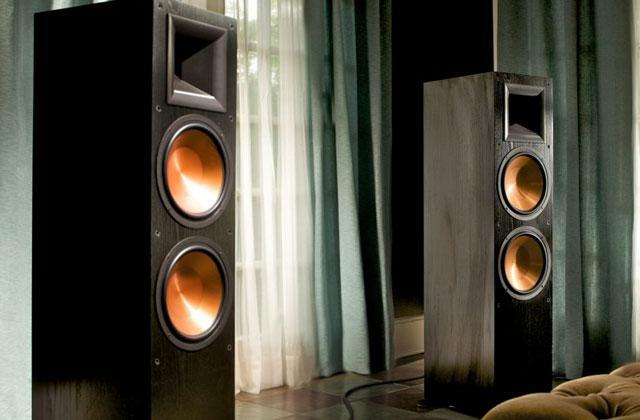 The quality of sound reproduction can be estimated by many different parameters, but in practice, manufacturers prefer to limit the specifications of this feature with the output power of the built-in speakers and the number of the speakers. 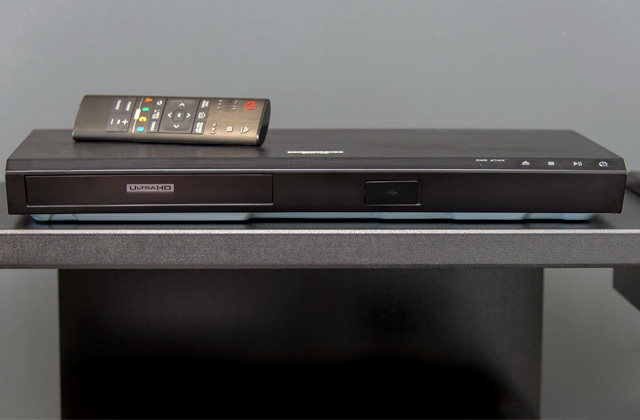 Most modern TVs come with built-in audio hardware decoder that supports multi-channel audio playback (up to 8 channels) (mainly - DTS or Dolby Digital audio streams). The availability of a built-in decoder and speakers not only allows you to watch your favorite movies enjoying the multi-channel audio support but also simply listen to music. 2. TV Buying Guide, ConsumerReports. August 2016. 3. John R. Quain Buying a TV? Here Are 11 Things You Should Know, Tom's Guide. August 27, 2015. 4. Will Greenwald The Best TVs of 2016, PCMag. August 10, 2016. 5. 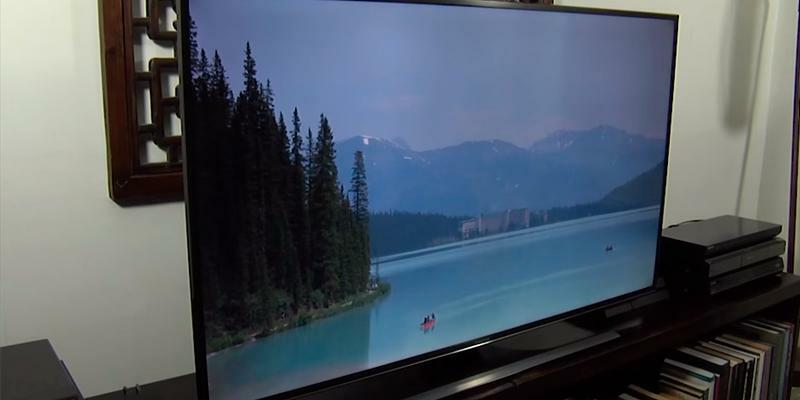 Andrew Laughlin How to Buy the bBest TV, Which? 6. 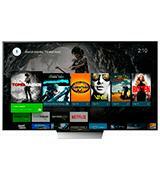 TV Buying Guide: Getting the Right TV, ConsumerReports. August 2016. 7. Denis Gallagher Who Wants a Bigger, Better TV? Choice. August 23, 2016. 8. 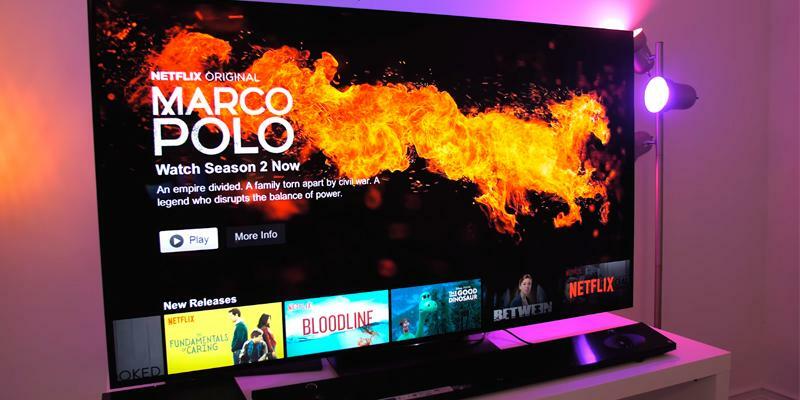 Mark Knapp 9 Must-Know Tips Before You Buy a New TV, CheatSheet. April 29, 2016. 9. Caleb Denison 4K ULTRA HD BUYING GUIDE, Digital Trends. February 5, 2016.